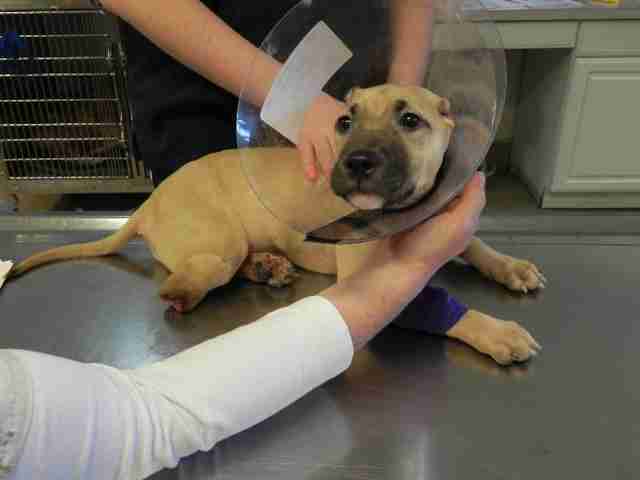 In a ruling that shocked animal advocates, a New York man was sentenced to zero days in jail for a series of unlicensed surgeries that left a pit bull puppy earless, mutilated and severely infected, Newsday reports. Officials say 34-year-old Reginald Smith likely cut off the puppy's ears with a pair of scissors at her owners' request before using socks and rubber bands to keep the dog, named Miss Harper, from scratching her wounds. 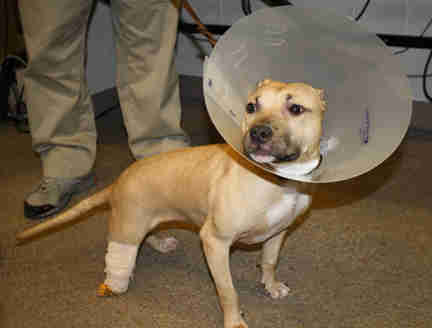 Soon, however, one of Miss Harper's legs became necrotic from lack of circulation and her owners took the dog back to Smith to remove the limb - an operation he also botched. 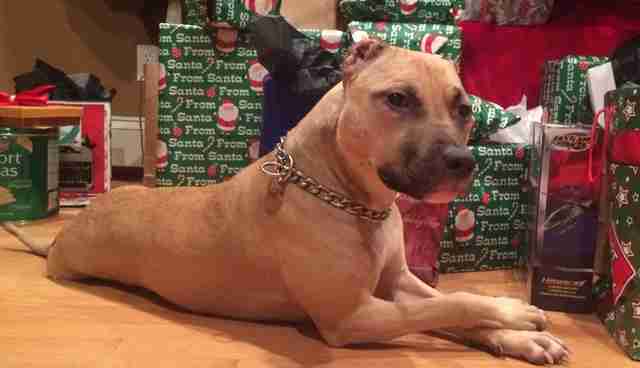 Miss Harper's stump was an open wound with exposed flesh and bone when the dog was eventually surrendered to the Nassau County SPCA, according to Detective Robert Sowers. Smith would later plead guilty to unauthorized practice of a profession, conspiracy and aggravated cruelty to animals, charges that carried a potential penalty of up to two years in prison. "He deserves jail time," prosecutor Gail Heatherly argued at Smith's sentencing hearing on Friday. "Without him, this wouldn't have happened." Instead, Judge Angelo Delligatti let Smith walk with a three-year conditional discharge, giving him "slight credit" for not being "an abuser of the animal." Members of the Nassau SPCA have now started a letter-writing campaign directed at Judge Delligatti, stating the judge "has a responsibility to the community to show that abuse of an animal will not be tolerated and most importantly, you will be held accountable." Miraculously, Miss Harper managed to recover from her injuries over the course of a year and, after thousands of families applied to adopt the dog, she was placed in a new home. 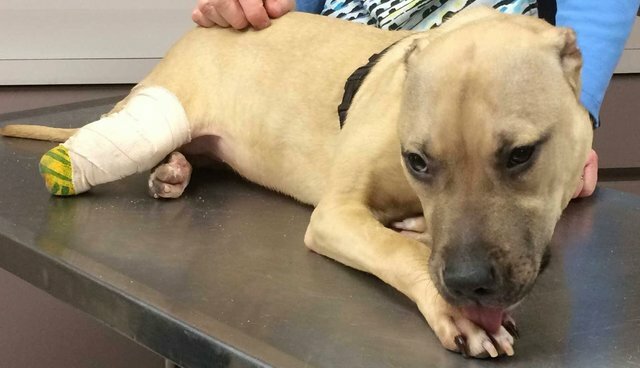 Last year, Miss Harper's story inspired lawmakers to create an online registry for convicted animal abusers in Nassau County. At the time of Miss Harper's surrender, her previous owners reportedly had a pending abuse case involving putting bleach on a puppy. They also face cruelty charges related to the Miss Harper case, but a trial date has not yet been set. To find out more about how you can help pass tougher animal protection laws, go here.